Last night we went to a reading. No, wait. It wasn’t a reading. It was a celebration, a celebration I figured would result in a reading. Anyway, I heard about this non-reading over at SheWrites and off we went. Meg Waite Clayton is a local author I’ve never heard of, and her event was held at Books Inc., an independent bookstore I’ve never heard of. It turns out she was celebrating the paperback release of her last book — THE FOUR MRS. BRADWELLS — and Books Inc. was filled with her friends and supporters. It was more cocktail party than reading, and since we weren’t really part of the group I introduced myself to Meg and we scurried out of the circle. 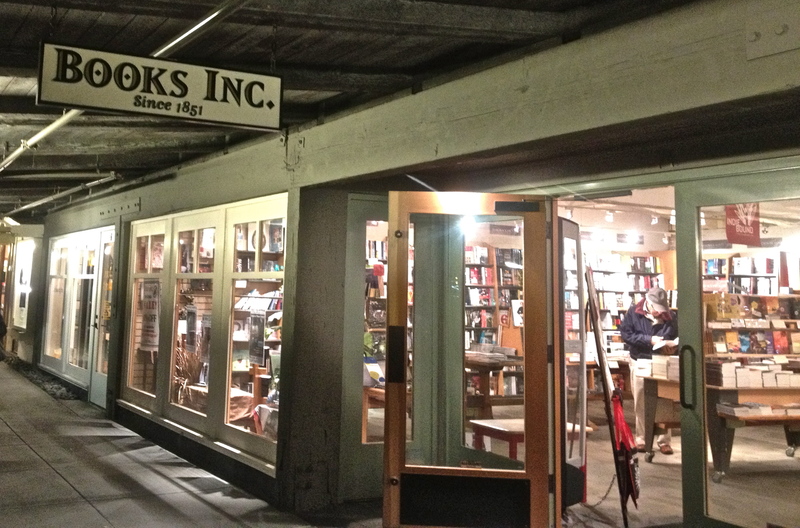 For the next half hour, my husband and I wandered around Books Inc. — such a great store! — wondering how in the world we didn’t know this place existed. Meg did eventually take up the microphone to say a few words. She thanked her family and friends, then she read a page or so of her book and took a couple questions while her husband served champagne, chocolates, and Bellinis. I discovered a new writer and picked up her book. If you haven’t heard of Meg Waite Clayton, check out her website — it’s one of the best author sites I’ve seen. And while I don’t read much women’s fiction, I’m guessing this book will be perfect for my book club. 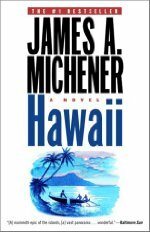 I also left Books Inc. with my first James Michener novel, because I’m jonesing for a big fat saga and ever since I saw THE DESCENDANTS over the holidays I’m obsessed with Hawaii. 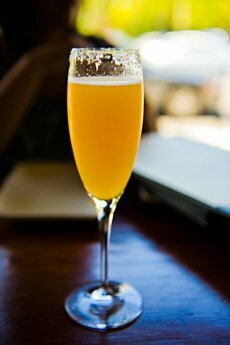 And I had my first Bellini. This entry was posted in Author, Book Club, Fiction, Social Media, Writers and tagged Meg Waite Clayton, The Four Mrs. Bradwells on January 6, 2012 by Teri. Memoirs get a bad rap. And of course there are bad memoirs, just like there are bad novels, but good memoirs are “not all woe and depressing.” Good memoirs, like all good books, all good storytelling, lift the reader up and keep us hooked. If you’re someone who remembers first lines, take this one: For the first seven years of my life, my nickname was Jolly — Jolly because my smile, pudgy cheeks, and a potbelly intimated that a giggle was just around the corner. While I couldn’t recall this word for word, I remembered most of it and, of course, Jolly. I remembered the joy I felt reading that intro. I wanted to know about this jolly boy. Five years ago, my friend Matthew Sanford published his first book with that first line. Matt had an incredible story to tell. I knew this, which means to say a knew some basic details of Matt’s life. What I didn’t know was “the story,” and what an incredible story this is. Even when I read WAKING in an early draft, I knew he was onto something. I toted that manuscript around for two days and read it every chance I could get. Yes, he said yoga teacher. So if you or your book club are looking for a special memoir to read, here you go. When you turn the last page, you’ll have plenty to discuss, and you’ll want to go out an live your best life. Nothing woe or depressing in sight. This entry was posted in Book Club, Memoir, Reading and tagged Matthew Sanford, Waking on November 10, 2011 by Teri. LITTLE GALE GUMBO. 2 glasses of wine. Some chips and cheese. The perfect evening. This wonderful book arrived on my doorstep Friday afternoon and I savored it all weekend, turning the last page last night just before turning out the bedside light. I’m pretty sure the last time I got this caught up in a really well-written family saga must have been THE SHELL SEEKERS, which I read earlier this summer. An older book (which I eventually realized I’d read before, long long ago) I was so caught up in the yarn of the story, the charming characters (strong women), the smooth shifts back and forth in time, and the mysteries to be solved, it was hard to put it down. I was sad to see THE SHELL SEEKERS end. I felt the same way about LITTLE GALE GUMBO. What a pleasure it was. Truly. I hated to turn that last page, and I’m already wondering about a possible sequel? 1. The multi-sensory experience. I could feel the bitter cold and the fog of a Maine island winter; I could smell the melting butter and sugar of every Praline; I tasted the gumbo and the red beans and rice, right down to their textures; I could hear the sisters voices so clearly – the headstrong (but underneath fragile) Dahlia, the sweetness and let’s-just-make-it-all-better heartbreak in Josie, Camille’s steady strength. 2. The complexity. The story is complex — all those romances and mysteries — but you never feel that way reading it. There were so many times when I marveled at how well this story flowed, and I especially loved how much the author trusted her reader. She knew when to give just enough information to let me figure things out for myself. 3. Time sequencing. For all of us who try to do it, we know how hard it is to make it flow naturally. Erika made me feel like she was sitting on the porch, with no notes, telling me a story. That’s how smooth it was. 4. Sense of place and real characters. I could feel what it might be like to be a girl in New Orleans, a girl sheltered from The Quarter and schooled in the arts of Creole cooking and voodoo. I wanted to be the young Camille. And the way they move to Maine (and how Maine is ‘chosen’) was so clever, but also perfectly in line with what the now-world-wise Camille would do. 5. Elements of surprise. I was pleasantly surprised many times by this story, so many secrets and happenings — which I can’t list because I don’t want to give them away! — which unfolded in unexpected ways that, after the fact, made perfect sense. It’s hard to surprise a reader who’s trying to puzzle out what’s coming, but Erika pulled it off so well. This would be a perfect book club choice. I can see a group of women serving up the recipes in the book on a cold winter night, glasses of wine in hand, discussing the trials and pleasures of the Bergeron women. I’m a little afraid to try the Pralines, but I’d be willing to give them a shot. Plus, I’m always looking for just the right opportunity to say the word etouffee. Doesn’t that just sound delicious? 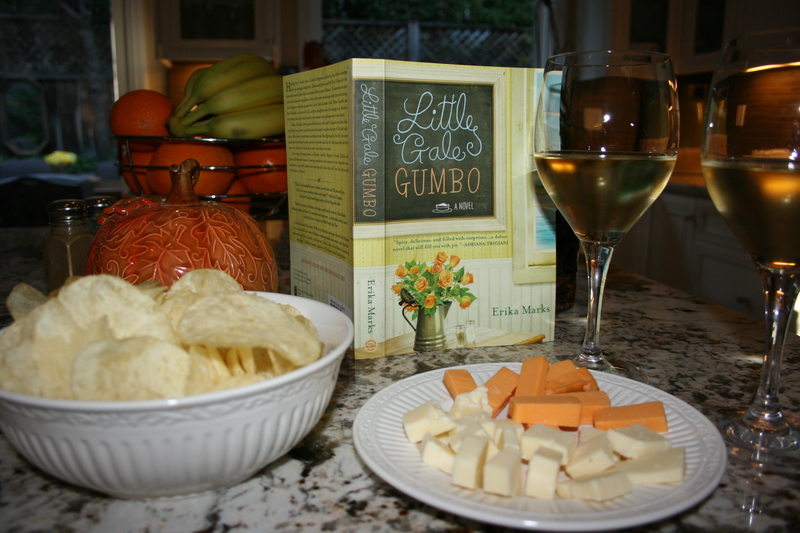 This entry was posted in Book Club, Fiction, Reading, Writers, Writing Life and tagged Erika Marks, Little Gale Gumbo on October 10, 2011 by Teri. I did not sleep last night. Before padding up the stairs to bed, I turned on CNN and watched those who’d witnessed the execution of Troy Davis step to the podium, big notebooks clutched to their chests. I listened as each person give his or her account of Mr. Davis’s last hours, last minutes, seconds. And though I don’t know Troy Davis or his family and I don’t really pray, I said a little prayer for them and weeped my way to bed. I don’t believe in the death penalty. Though I admit that, sometimes, when a horrific crime occurs — with witnesses and confessions and undisputed evidence — I question myself. OJ Simpson comes to mind. Casey Anthony. At 2 and 3 a.m. I was imagining little Caylee Anthony, abandoned in those dark woods, and her mother out in the sunshine living her life. 4 a.m. 5 a.m. Troy Davis is dead. In the Davis case, the key witnesses all recanted their testimony. How do you put someone to death with that kind of doubt? I can’t sleep, but I figure Casey Anthony is resting in a nice warm bed tonight, and maybe she wakes up thinking she might be due for a salon appointment, should she have eggs or cereal for breakfast?, what will she do with her day…. We have no idea what the hell we’re doing. This year my friend Charles McLeod published his first novel in the U.K., AMERICAN WEATHER, a brutal satire on our current way of life. One of the big events in the book is a public, televised execution. A fine new way to make millions! Ask yourself, if significant money could be raised by advertising executions — to invest in our schools, get healthcare for children, to put the unemployed back to work — would you watch? Meet Jim Haskin. He’s forty years old. He’s worth around thirty-five million. He runs his own San Francisco ad firm, American Weather. AmWe’s image is green, modern and forward-looking: if your product is upcycled or hydro or vegan, they’ll make you an ad. But behind the scenes, Jim manufactures ways to support the old captains of American industry; bleach, beer and guns. But all is not well: Jim’s wife, Denise, has been in a coma for over a year, a state brought on by a drug Jim helped promote. A live-in nurse, a former Salvadorian gang member, helps Jim tend to her. And Haskin’s only child, Connor, has been sent away to a boarding school three thousand miles away, after assaulting a student at his former high school. Orphaned at 14, Jim and his three closest friends grew up at Mr Hand’s Home for Well-Behaved Boys. All have profited from the American dream. In 2008, on the brink of the Presidential election, the quartet finds themselves short on cash and look to Jim for a solution. The scheme he devises involves a Death Row inmate, pay-per-view television, and most of America’s major corporations. Everything is set for it to be his greatest achievement yet. This entry was posted in Book Club, Fiction, Politics, Reading, TV, Writers and tagged American Weather, Casey Anthony, Charles McLeod, Troy Davis on September 22, 2011 by Teri. #3 — I chose a book I love — Mary Karr’s LIT — for my May book club. I was downright giddy with pleasure when I did it. The next day, another Mary Karr devotee said basically this: Oh no no no. I worship at the Marr Karr altar and, therefore, could never do that. What if they hated it?!?! Better get that bar of soap out and keep it at the ready. This entry was posted in Book Club, Interviews, Memoir, Writing Life and tagged James Baldwin, Lit, Mary Karr, The Paris Review, William Faulkner on May 10, 2011 by Teri. 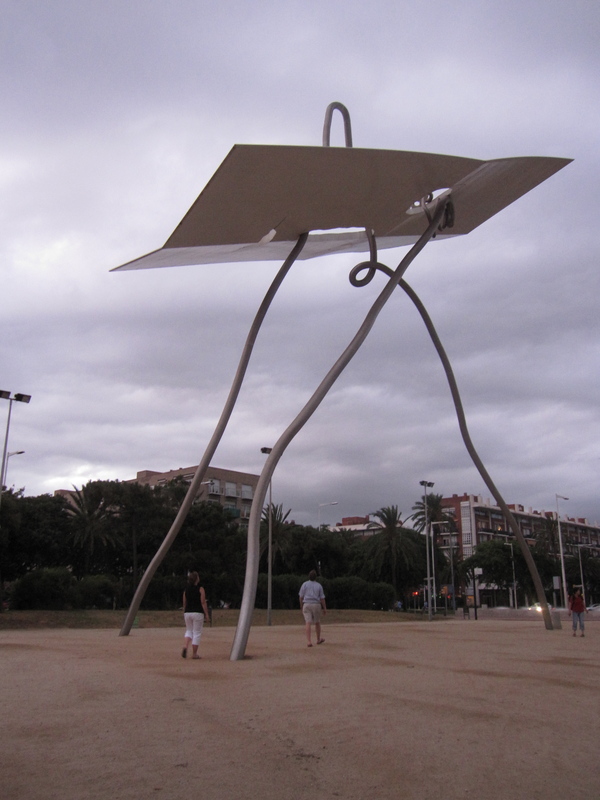 Looking up in Barcelona: What is this? We had book club this week. And sadly, once again, I did not finish the book. Heck, I barely even started it (100 pages into Wally Lamb’s 700 page THE HOUR I FIRST BELIEVED). I’m usually the snob who raises her hackles at those who don’t read the books. Why be in a book club then? I think. Not reading the book is rude, like when somebody gives you a nice gift and you don’t bother with a thank you. I’m disappointed in me. Everyone who finished the book loved it, but they also said you needed to “get past the Columbine stuff” and 150 pages before it kicked in. So I guess I can blame myself for a lack of stick-to-it-ness, or no attention span. I just kept thinking, What in the world is this about? and then I put the book down, threw up my hands, and gave up. Inside my head, the proverbial light bulb flashed: I also have a hard time stating, succinctly, what my own WIP is about. What’s your book about? people ask (seeming truly interested) and then I gawk at them with the blankest of blank faces while I struggle to spit out something unintelligible. Watching this Mary Karr video over and over again is helping me find my words. This entry was posted in Audio books, Book Club, Memoir, Reading, Writing Life and tagged Lit, Mary Karr, The Hour I First Believed, Wally Lamb on April 22, 2011 by Teri. Your resident list-maker has, today, a short list of follow ups from recent posts. 1. Based on Erika’s recommendation, I ordered Roseanne Cash’s memoir — COMPOSED — and can’t wait to read it. In fact, I read the first 2 chapters last night even though I’ve got about 8 books on the fire at the moment. Maybe even more than 8. Geez. 2. My book club is one week away and I still have not started Wally Lamb’s THE HOUR I FIRST BELIEVED. I feel so guilty. It’s 800 pages and seems, at this point, to be taunting me. “Some things never change,” it says. “No matter how much you pretend to be organized and on top of things, you’re still the girl who waits until the weekend before it’s due to write that 20 page research paper. When will you ever learn? !” Uh, never? 4. Last week I recommended Vivian Gornick’s THE SITUATION AND THE STORY for nonfiction writing guidance. I ended up re-reading it and making more notes. It was exactly what I needed — thanks to Downith for bringing it back into the light. 5. I’ve got dogs on the brain. 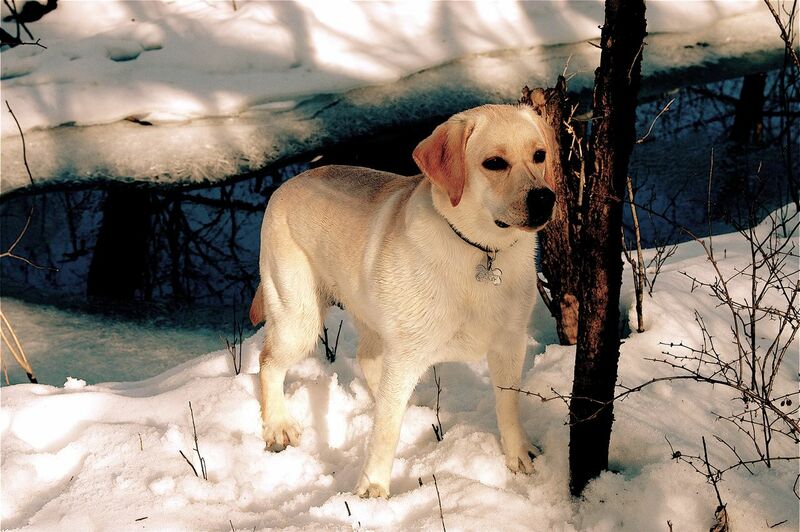 This is not unusual (ask my husband) but this month I have a dog-ish essay coming out in Redivider which I promise to hoist shamelessly upon you the minute it hits the press. On a related note, yesterday Jess tried to post a photo in ‘comments’ of her muse, Abby, and ended up e-mailing it instead. Blasted technology! But Abby’s picture reminded me so much of a photo of Lea, I had to post them side by side. 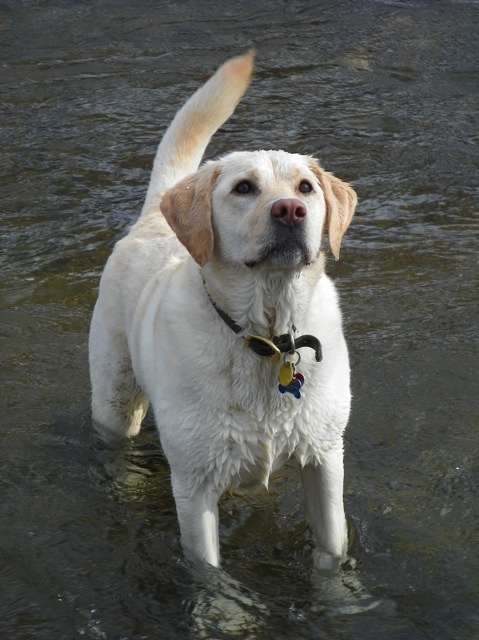 Check out these gorgeous girls — a couple of wet and happy labs, at attention! This entry was posted in Book Club, Fiction, Memoir, Music, Reading, Writing Life on April 13, 2011 by Teri.